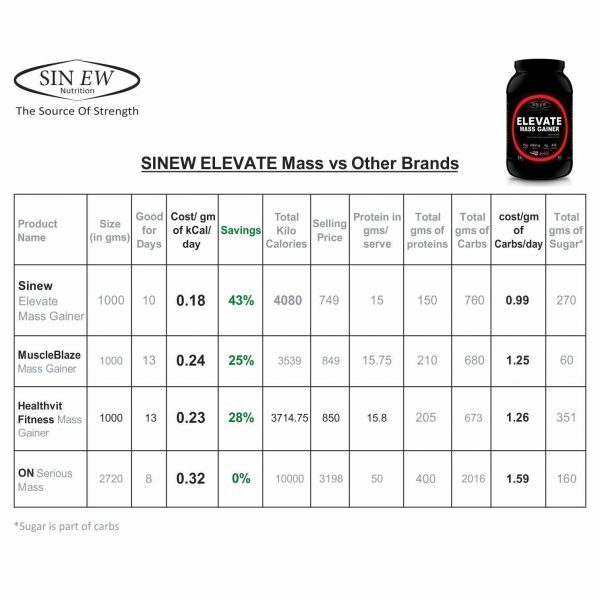 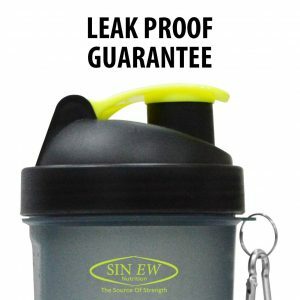 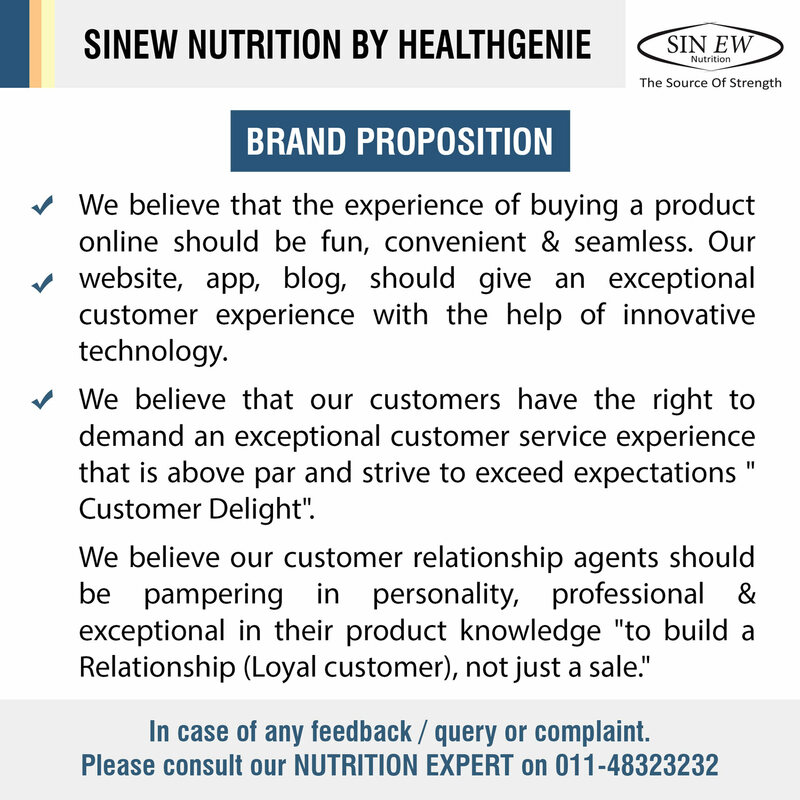 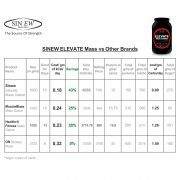 Sinew Elevate Mass Gainer is an innovative and revolutionary product from the house of Sinew Nutrition and it has perfect combination of high quality protein and carbohydrate in 1:3 ratio (64g of carbs | 20g of Proteins) which is ideal for build your muscles quickly and also keep you healthy and fit for all day.Sinew Elevate Mass Gainer increases your overall intake of calories per day and helps you to gain healthy lean muscle mass. 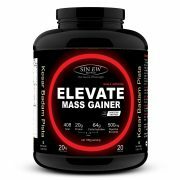 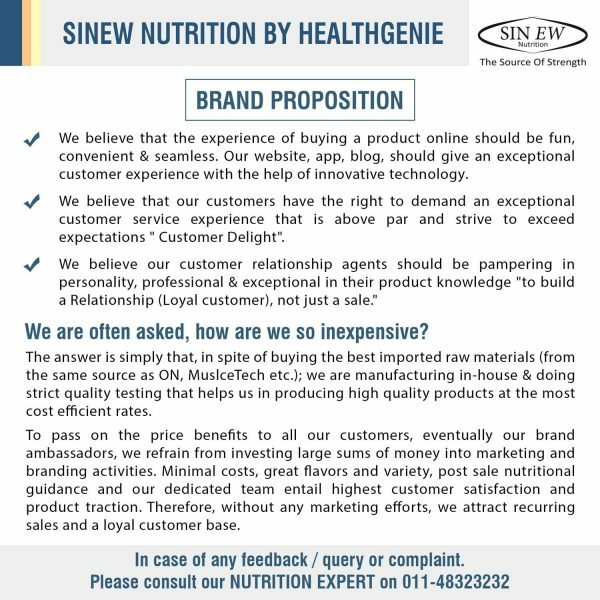 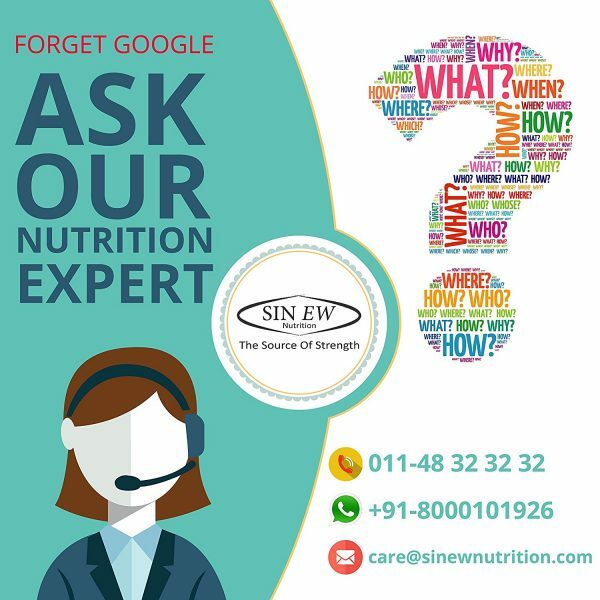 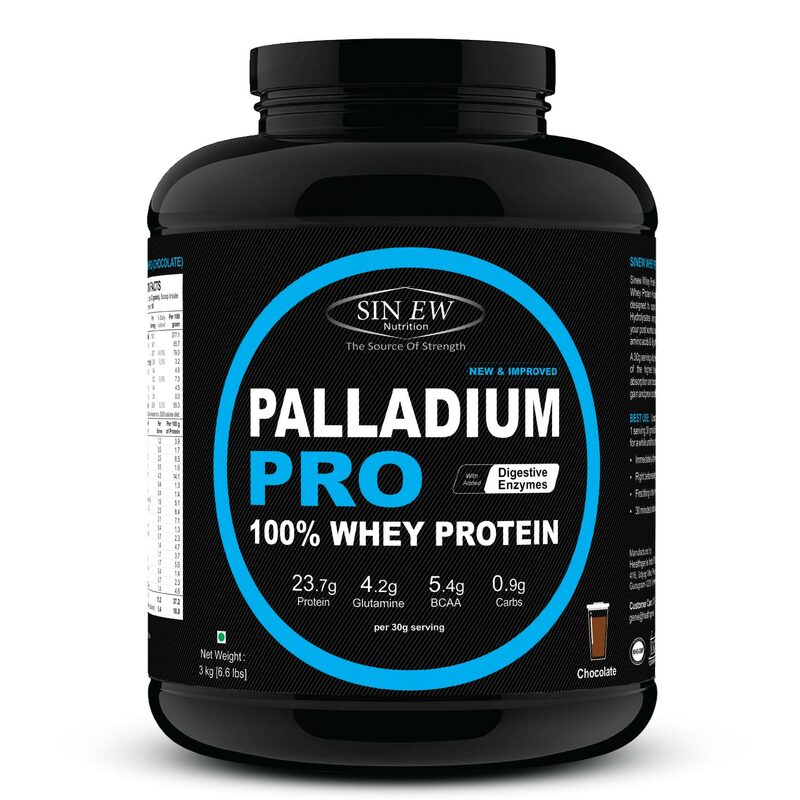 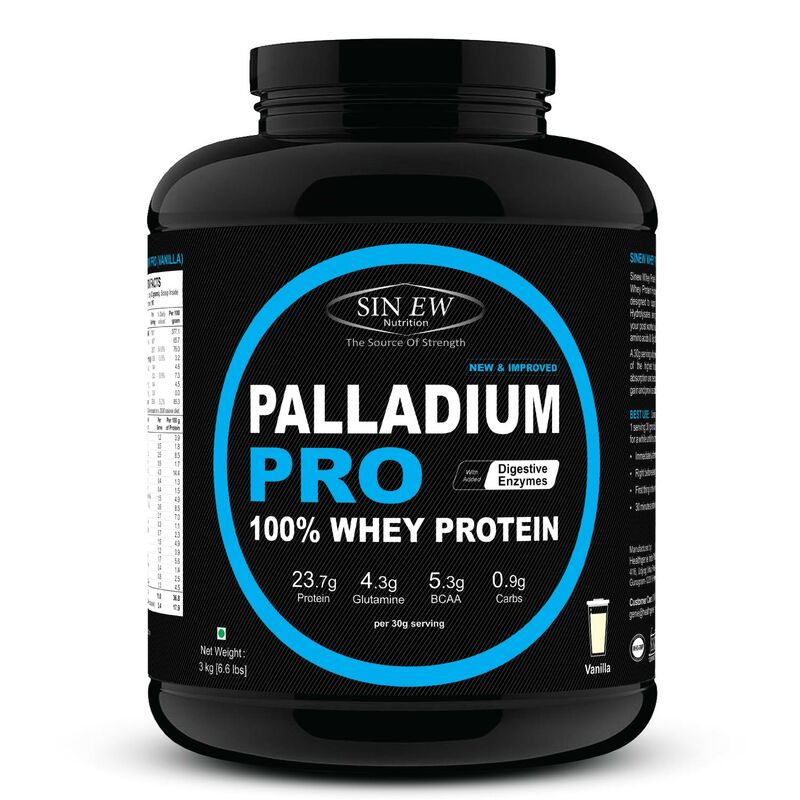 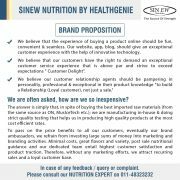 In the fast paced life that we live in today, most of us have little or no time for taking care of our nutritional needs so fulfill that nutritional needs Sinew mass gainer is the ultimate choice & specially for the hard gainers who trying to gain weight by eating food several times but no results, go for Sinew mass gainer see the amazing change in you in little span of time. 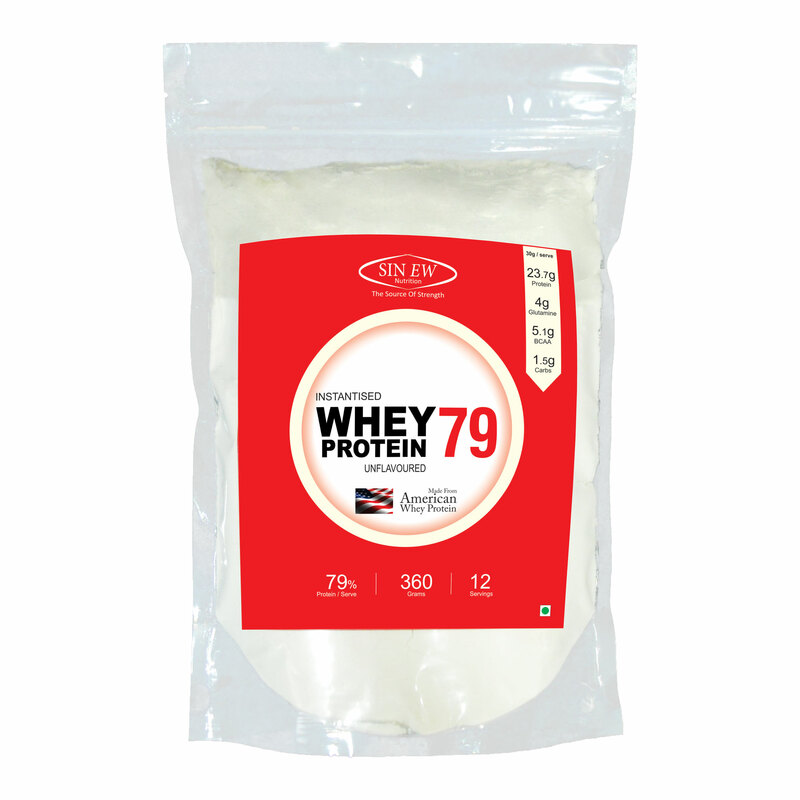 Mix 1 Serving (3 Heaping Scoops) 100gms to 250ml – 300ml of skimmed milk or water. 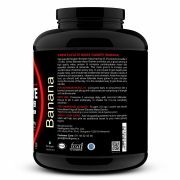 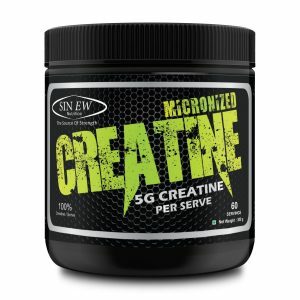 Stir/shake for a minute until supplement is completely dissolved. 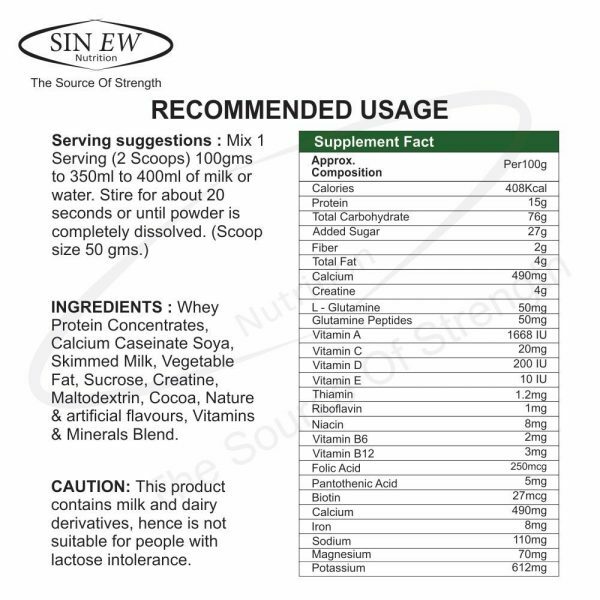 The flavor is nice, It really gives good results, however, daily workout in gym is mandatory for the consumer of this product.. You may consume it twice daily, if you’re working out properly in the gym.. 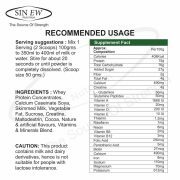 Nevertheless, I would suggest users taking it with lukewarm water for the second time in a day if they’ve already consumed it with milk for the first time the same day.. 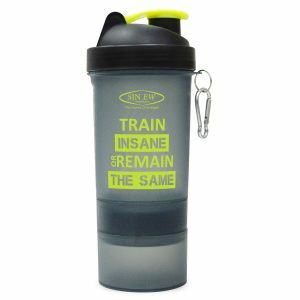 It has got no side effects on my body. 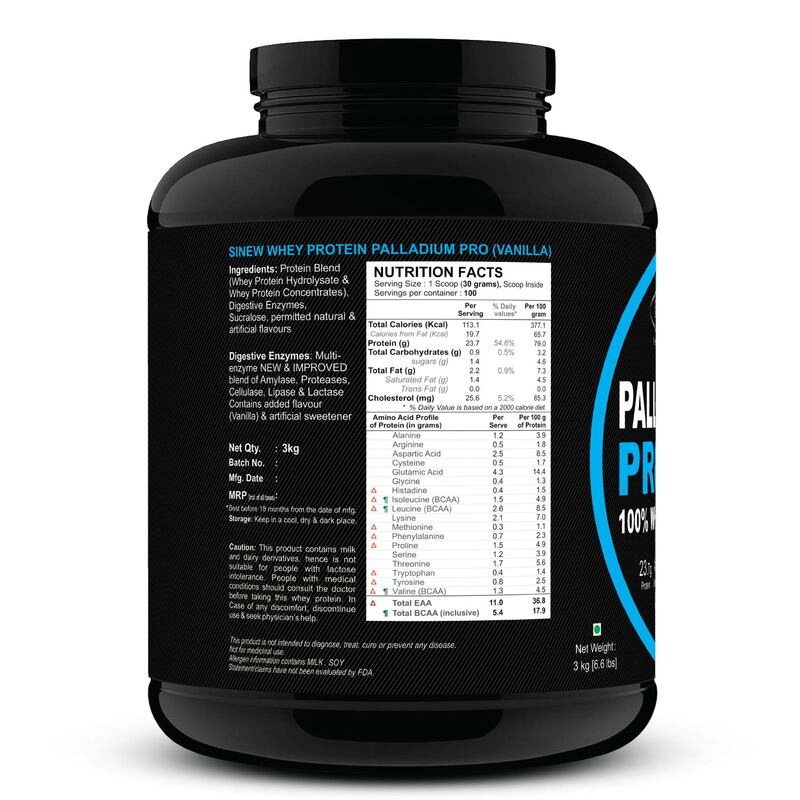 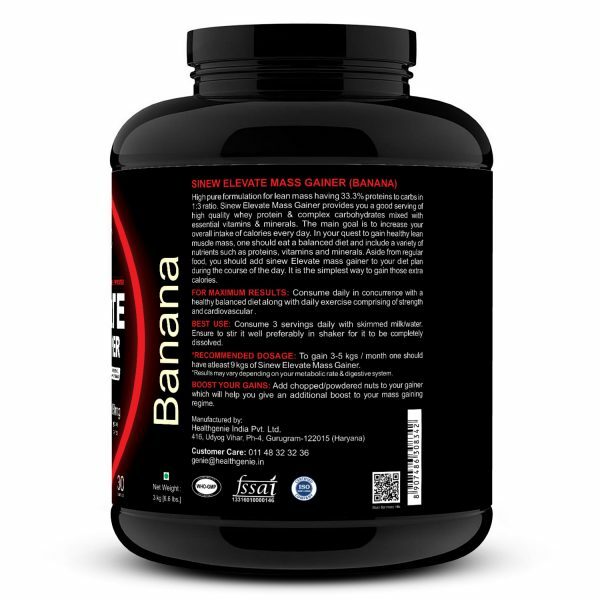 Per Serving: 24 gm protein, 4 gm glutamine, & 5 gm bcaa out of 30 gm. LOADED WITH PROTEIN : Sinew Nutrition Elevate Mass gainer provides 20g of Proteins | 64g of carbs per serving to fuel your daily need. NEW & IMPROVED FORMULA : Enriched with Digestive Enzyme & 2g Fiber per serving. POST WORKOUT RECOVERY: Enhanced with vitamins & essential minerals, glutamine and glutamine peptides.